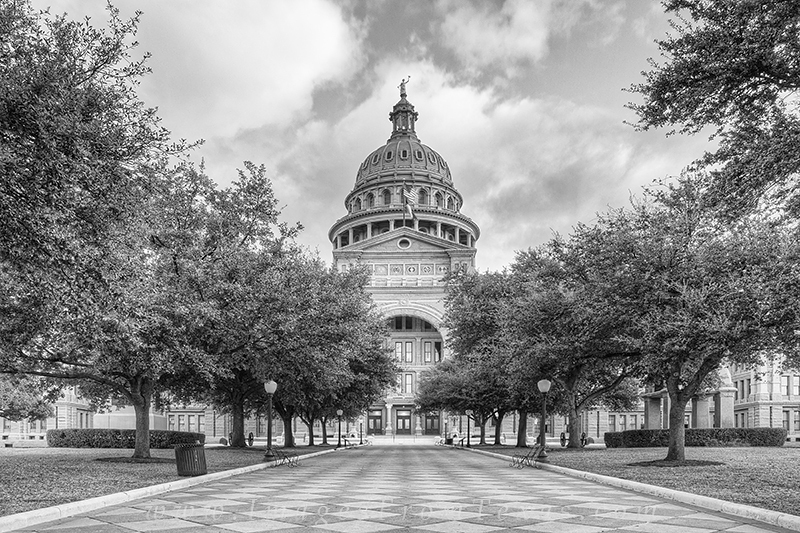 Early morning clouds float across the state capitol building in Austin, Texas, in this black and white photograph. I love the symmetry in this view of the building, and always enjoy my time in the downtown area. Photo © copyright by Rob Greebon.